The task facing Shanaze Reade?s opponents in Beijing just got a whole lot tougher. 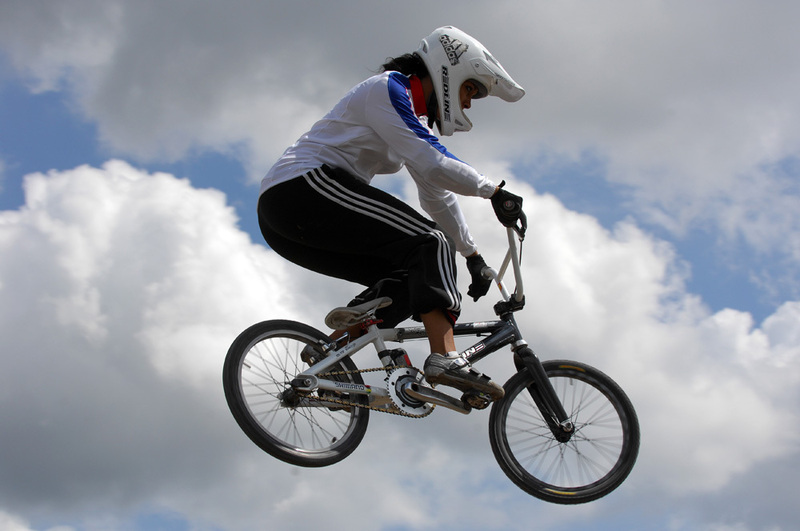 Not only did the two time senior BMX world champion wipe the floor with them at the world champs earlier this year, she now has a new track to train on. Reade?s preparations for the inaugural BMX competition at the Olympic Games were being hampered by the lack of practice facilities. Competition level BMX tracks in the UK are few and far between, and none of them are anything like the track in Beijing. The Super Moto course in China has a colossal 20m, near veritcal start gate, and the only existing replica is at the UCI?s headquarters in Aigle, Switzerland. With that track fully booked up by other nations going to China an alternative had to be found. 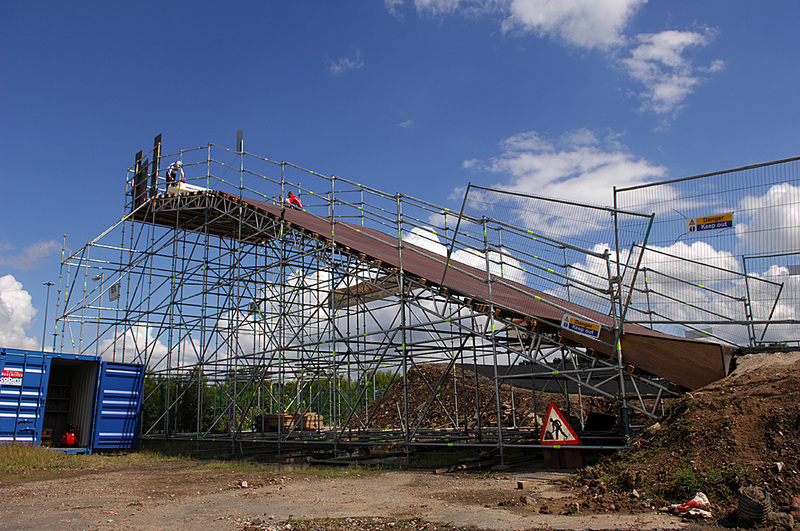 ?We contacted Tom Ritz, the American guy who built the Beijing track and asked him to come over and build it,? BMX coach Grant White explained. Ritz duly built the track from memory, only referring to his plans at the end of the process to check his measurements were correct. It turned out he?d built it from scratch to within a couple of inches of the correct specifications. Concrete powder was then raked in to track and asphalt laid on the two corners. The course only features two straights and two bends, but is sufficient to give Reade, and GB’s solo men?s entrant, Liam Philips, the practice they need before they fly to China. If Reade can bring back a gold medal, it might just be enough to convince the Council to keep the track. ?The track only has temporary planning permission at the moment,? Brailsford said, ?but we would like to keep it as we?re expecting a large growth in BMX post Beijing.? 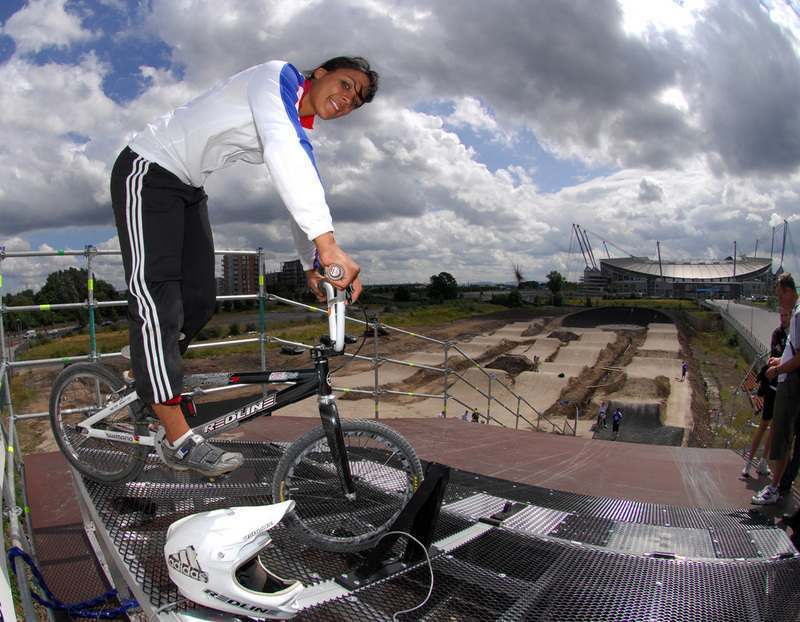 Shanaze Reade doesn’t look too worried at the top of the start ramp – not even with that jump at the bottom! That’s one very high start ramp. 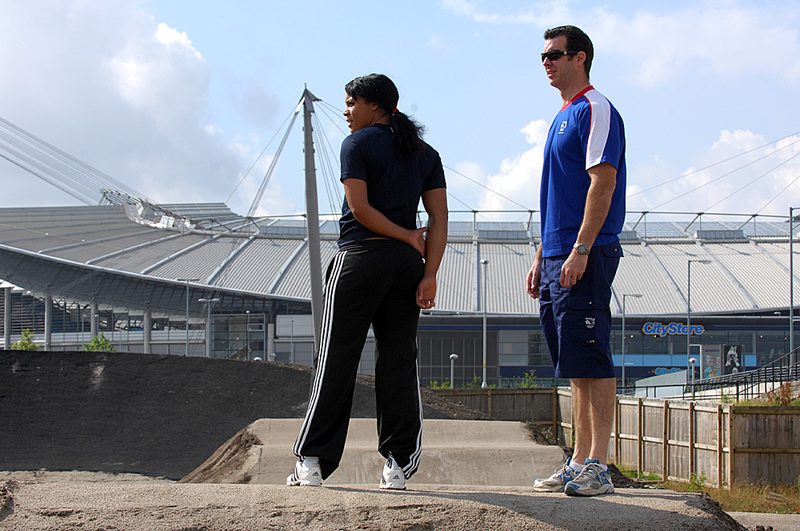 Reade checks out one of the jumps on foot with BMX coach Grant White. World champions have a knack of making everything look so easy.